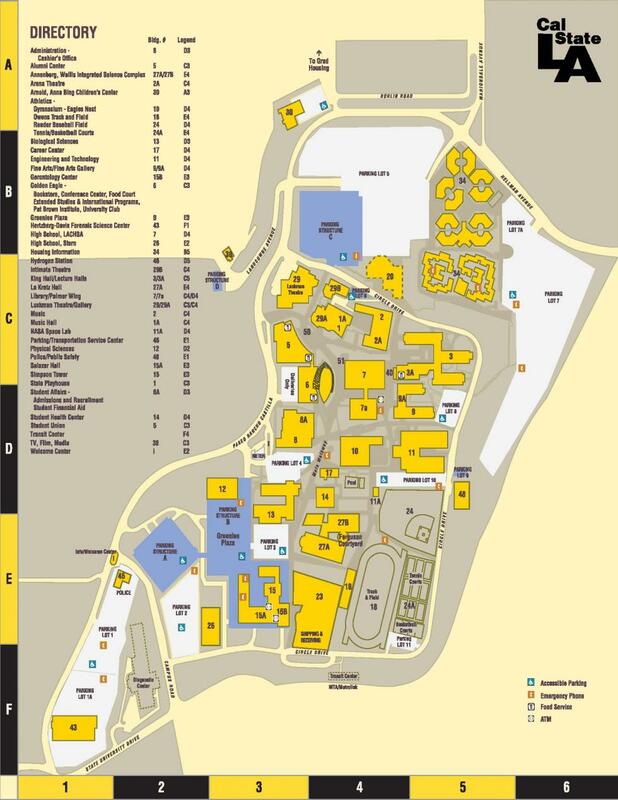 Parking with Cal State LA current permit only (includes persons with DMV Placards) on Circle Drive, Paseo Rancho Castilla, B-Level of the Parking Structure B, all levels of Parking Structures A and C, Lot 4, Lot 6, Lot 7, Lot 7A (residence area), Lot 8, and Lot 10. If additional questions on parking, click on the Parking. For directions to Cal State LA, click here.